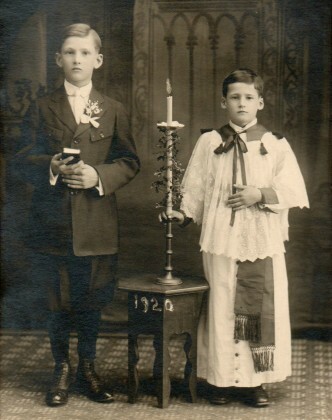 Young pomponiards – I komu to przeszkadzało? 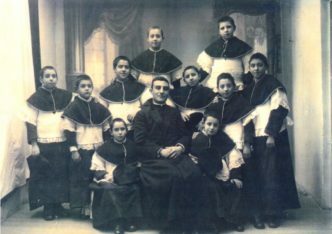 Members of the children’s choir of the College of St. Joseph at the cathedral of Cuenca, Spain. 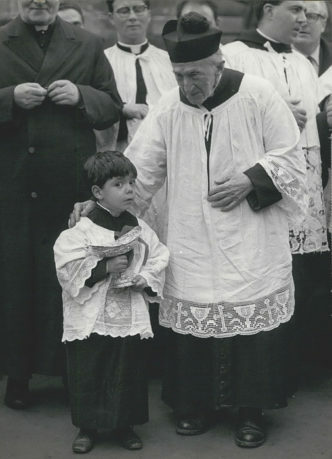 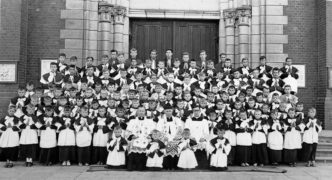 Altar boys from the parish of St. Cross in Kielce together with priests, 1958 [photo courtesy of the website Ministranci Salezjanie Kielce]. 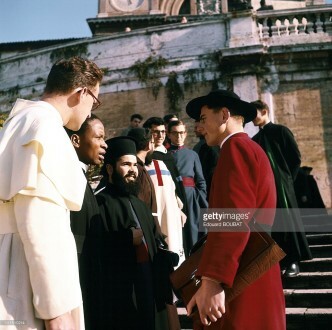 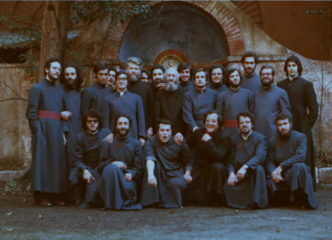 The seminarians of the Pontifical Greek College in Rome in 1974. 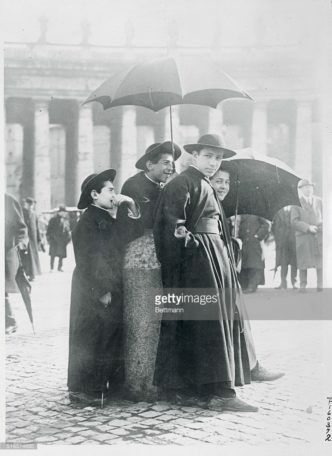 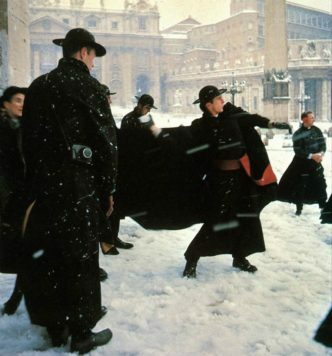 Rome, St. Peter’s Square, the 20’s of the 20th. 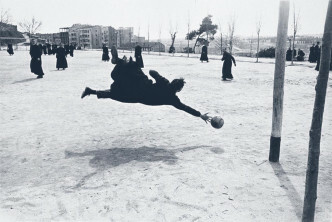 Seminarians from the Madrid Conciliary Seminary during a football game, 1959. 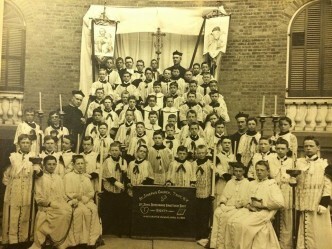 The altar servers and the priests of the church of St. Joseph in Troy, New York. 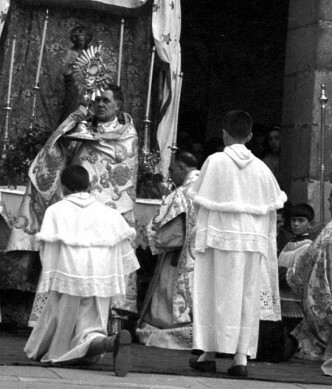 Corpus Christi in Oñati, the Basque Country, Spain. 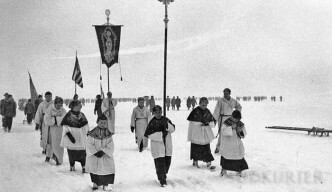 Altar boys walking at the head of the procession on the frozen Lake Constance, 1963. 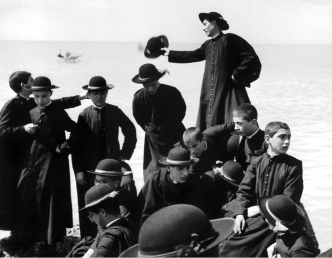 Seminarians by the sea, Naples, 50s. 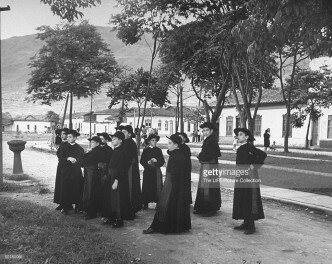 Boys from a minor seminary on the streets of Medellín, Colombia, late 40’s of 20th century. 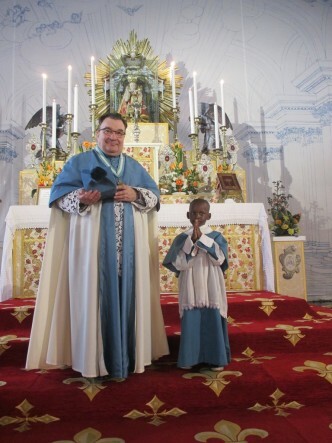 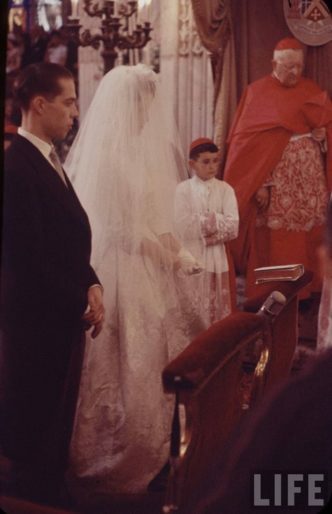 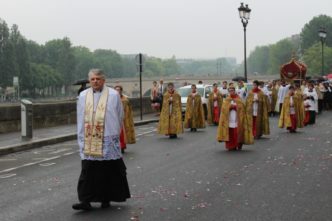 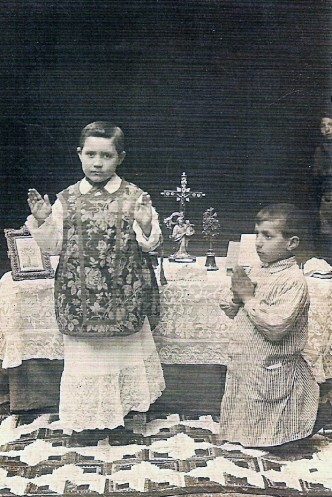 Rafael Hernández Herrera (dressed like a priest) and Salvador Garrigues Hernández [the source of the photo and description]. 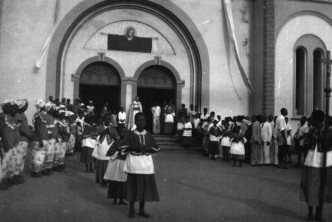 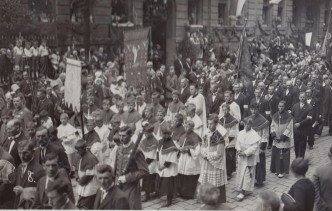 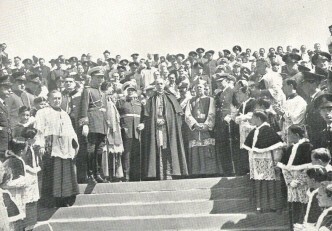 An altar-boys at the procession during the I National Eucharistic Congress, Poznań 1930.